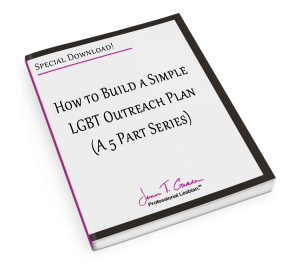 This is part 4 of 5 of the 5 part series of How to build a simple LGBT outreach plan. 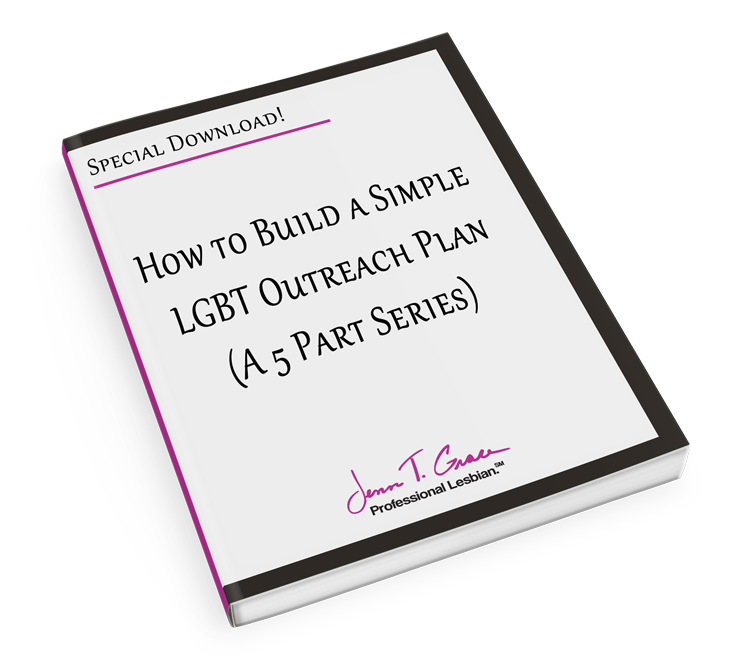 Thanks for checking out part 4 of 5 of the How to build a simple LGBT outreach plan. This has been such a great series of posts to write for you. Many of you have taken the time to write to me and express how this has helped you and I really appreciate that. In this post we are going to answer the question, What steps will I take to start building relationships? This is a really fun topic for me as I am always connecting with new people and matchmaking those I know would be a good fit for one another. The excitement for this topic may be partially due to my position as an executive director of an LGBT chamber of commerce for 3+ years. In that capacity it was my job to be a connector and to be a builder of relationships. I learned a great deal about business in that position and I have a few tips to share here. The most important thing I am going to say here is – You have to view your relationship building approach from a strategic lens. Most of us in business have heard of the “Know, Like and Trust Factor,” but have you ever given thought to how people come to know, like or trust you? Below I’m going to provide some tips and advice for becoming that person. How can you expect people to know who you are if you aren’t out networking? Networking is the name of the game in business. But you have to have a vision and a purpose when you are networking. Going to an event and being a wallflower, talking with people you already know and not actively searching for new people to connect with isn’t going to expand your reach and build your database of connections. So how do you change this? You need to step outside of your comfort zone. Yes, it can be scary. But to grow your skills and grow your business, you just have to do it. Find a wing-man or wing-woman who is good at networking and ask them to attend an event with you. Observe what they are doing and then jump in. You may feel anxious, but remember the person you are walking up to could be feeling the exact same way you are, regardless of how well polished or confident they may seem. So, how do you get people to like you? This is a question some people have been asking themselves since the dawn of time. I’m here to tell you there are simple ways to help you accomplish this. In a business setting the number one thing I find that works amazingly well to getting people to like you is by focusing on what you can do for others and not what others can do for you. Being that pushy person who is handing out hundreds of business cards at an event without having a real meaningful conversation is a surefire way for people not to like you. Or at the very least not return your calls or e-mails when you reach out. Focusing on how you can be of value to someone else makes you a resource. Being a resource and a connector can serve you well in business. I am always making introductions and connecting people I think will be a good match together. It doesn’t cost me more than a few minutes of my time to make the introduction and if they are a good match, they will remember I’m the one who connected them. That leaves a positive image of me in their minds. Trust is a big one. People need to feel like they can trust you. Have you ever been to an event where you can immediately find the gossip in the crowd? Yep – that person. Don’t be him/her. Business associates and colleagues need to feel like they can trust you, but you need to demonstrate that they can. Remember actions speak louder than words. You can do this by not talking badly about your competition, past clients, past relationships, etc. The last thing you want is for people to think you are the engine in the rumor mill. If you talk like that to them, how do they know you aren’t talking about them to others? On any given day sensitive information comes my way. I’ve opened my lines of communication and trust with people because they understand that telling me something means that I’m not going to repeat it. Simple as that. It may seem like pretty common sense but you’d be surprised at how many Negative Nancy’s there are out there talking badly about those in the community around them. Make note of how you talk to other people and what you say. If you find yourself going down the gossip trail, make a conscious note of it and try better next time. Over time you’ll find more people confiding in you for being the person they feel they can trust. Now that you have some basic tips – what’s next? 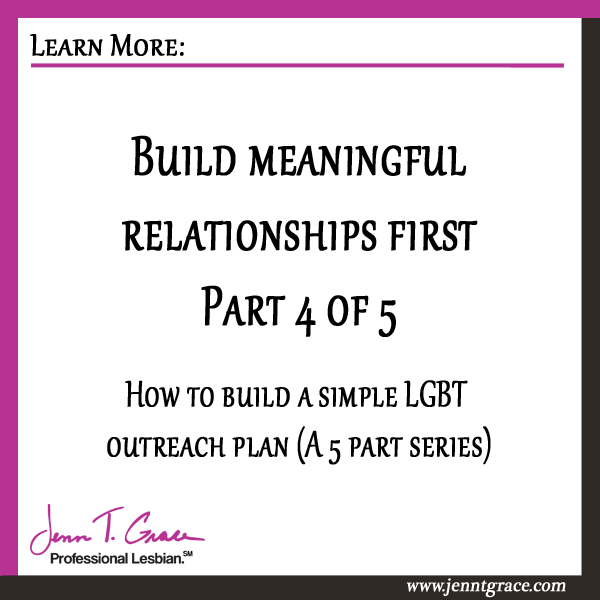 So, now that you have some basic tips to get you started – let’s think about what strategies you can use in your outreach to the LGBT community. 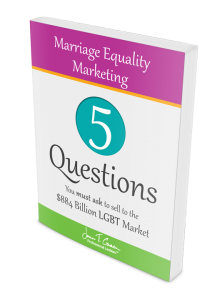 Ask yourself some of these questions – Will you place an ad in the local LGBT media? Will you attend a big gala in your area? Will you volunteer for a local LGBT non-profit organization? To build quality relationships and your reputation you need to be active. You could be volunteering, putting an ad in the local LGBT media and attending a big gala, all in one shot. Most gala’s have program books and volunteer committees. These are 3 good ways to get your name and face out there. Becoming a regular for any particular group in your area is a good start. Be consistent and be regular. Showing up to one thing every 3 months doesn’t keep you top of mind for anyone. Find ways to have your name always in front of the people you want to do business with. Let’s take it to the next level – go grab a piece of paper or open up a Word document. Now, make yourself a list. Write down these 3 steps. Write down a date two weeks from now. Next to it – make a list of ways you can get more involved. Such as; talking with current LGBT clients and finding out why they do business with you. Learn what makes you unique. Now use that new found information and determine where the best use of your time is.  Get involved in the community through a business organization, a non-profit that correlates to your field of work, or even by becoming a mentor to an LGBT college student. Research the different ways you can become involved. Write down a date one month from now. Next to it – make a list of the specific organizations you previously researched that you have decided you want to be involved in. Whether it’s the local LGBT chamber, pride center, professionals group, etc. Do some additional research, narrow down the organization that best suits your needs and reach out to the main contact at each organization and schedule a meeting. Write down a date 6 weeks from now. 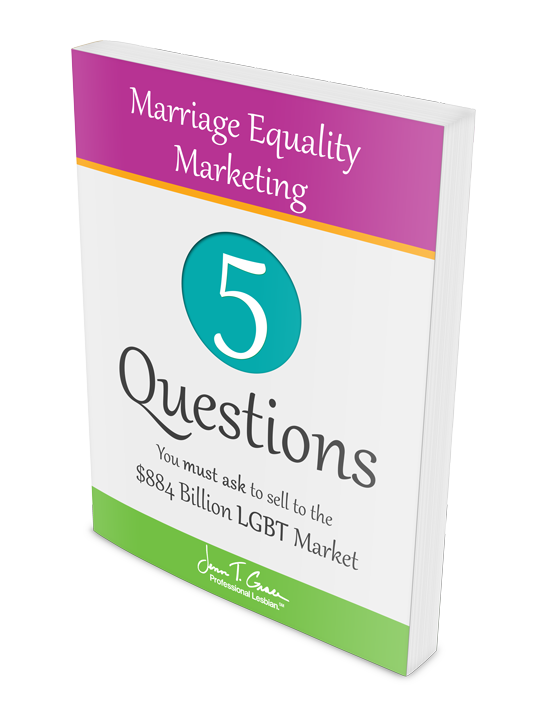 Next to it – make a list of ways you can market your business to the LGBT community. Can you develop a marketing piece, a brochure or postcard of your products/services that is specific to the new organization you are involved in? Can you create a new website positioning yourself as the go to person to do business with? For example, if you are a lesbian realtor – you could get the domain name of “YourLesbianRealtor.com.” Be creative – there are a lot of opportunities for you. The key here is to be specific and focused. 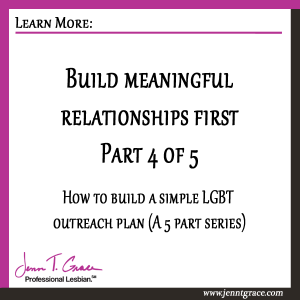 Combine the 3 steps outlined above with the previous work you have done in building your strategic LGBT outreach plan and you are well on your way to success and recognition in your community.